As more and more people start to realize the fantastic benefits of delicious juices, more and more types of juicers come onto the market. With so many to choose from, comparing and finding the right one for you, can be like finding a needle in a hay stack. At Comparaboo, we are constantly scanning and analyzing to be able to give you the top ranked juicers. The best of the best! To help you find your champion juicer, we have put together this comparative shoppers' guide. The three main kinds of juicers are: masticating juicers (also known as a cold press), centrifugal juicers, and citrus juicers. 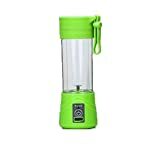 Each have a different and unique way of extracting juice, offering a variety of smart features that are tailored to your specific juicing needs. To help you make sense of them, here is a breakdown to compare! 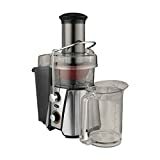 Masticating Juicers: Masticating juicers extract the juice by squeezing it out of the produce to make those yummy drinks, and are perfect for fruit and vegetables with low water content. They are high quality juicers for the juicing enthusiast. They have a very clever juicing process of slowly juicing and squeezing out every last drop of the good stuff, so that your homemade juices will be packed with even more fiber, nutrients and antioxidants than are in juices made from other kinds of juicers (so, better for your health). Plus, it's a quieter gadget, which means it's gentler on your sensitive morning ears. 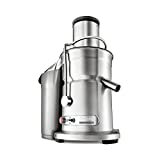 Centrifugal Juicers: These awesome juicers are great for first time juicers, or juicers on the go! They are perfect for fruit and vegetables with a high water content. They are quick, cost effective (so, better for your pocket) and easy to use. The prep time is much less than other types of juicers, as they tend to have bigger feeders. This means much less cutting and chopping. And because they extract juice by spinning the produce, it makes juicing quick and easy. With this juicer, you can make sure you get all the health benefits of juicing, no matter how busy your are. 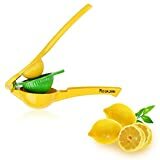 Citrus Juicers: Although these juicers are specifically for citrus fruits (oranges, lemons, grapefruits), they give you orange juice quickly and efficiently, like a pro. And if you're looking for daily hassle free, freshly squeezed orange juice with your breakfast, or lemon juice at the flip of a switch, then this is the juicer just for you! Pulp: Reviewers discuss the pulp of their juicers more than any other topic. When the pulp is dry, it means you're getting all the good stuff in your juice - the fiber and the nutrients that make juicing so very good for you. The drier the pulp, the healthier the juice and the higher the juicer is rated. Easy to clean: Juicers that are easier to clean will improve your juicing experience and are rated much higher than other juicers. A lot of juicers are also dishwasher safe, which is very handy indeed! Easy to use: Users who find their juicers hard to clean are not satisfied with their purchases. A good juicer should be easy to use and hassle free. 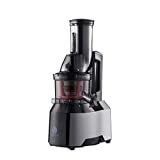 If it's easy to assemble (and take apart when cleaning) and easy to operate, you will be able to make more yummy juices, which will make you a much happier customer. 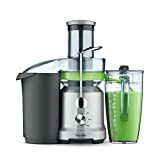 Variety: There are so many new recipes out there, and reviewers who are able to try them all rate their juicers higher than those that are limited. 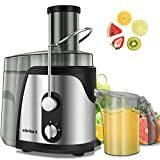 Unless its a specific juicer like a handy citrus juicer, your juicer should allow you to juice all different kinds of fruits and vegetables. Juicers can be a little tricky to clean, but no matter which type of juicer you choose, there are many that are easier to clean than others. 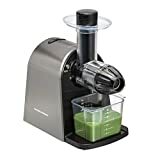 Your juicer should be easy to put together and take apart, so that you don't need to call in a trained technician every time you want to clean your faithful juicer. An easy to use juicer means healthy drinks every day! Healthy drinks every day means a healthier lifestyle. The trick to healthy juicing is in the pulp. If a juicer leaves behind wet pulp, it means there are a lot more nutrients in the pulp that could be in your juice! (Tip: you can put that pulp back in the juicer and give it another go to get more of those antioxidants out.) A good quality juicer will leave behind dry pulp when it has extracted the juice. This means, in your glass, you'll have all the nutrients and vitamins that those fruits and vegetables have to offer. If you're looking for a time saver, your juicer should have an external tube for pulp. That means that the pulp goes into a bowl and not into the body of the juicer. This is very handy because you don't have to clean as you go when making juice for the family. Yay! Multiple speeds on your juicer allows you to juice a variety of fruit and vegetables. Oranges for example, juice at a slower speed than your leafy greens. Having speed options means you will get more out of your juicer and more nutrients in your juice. Score! The size of the feeding tube is important. The bigger the tube, the bigger the fruit and veg chunks you can fit into the juicer, which means, far less peeling, cutting, and flinging mango around the kitchen. It cuts your prep time drastically and saves you precious time! Bonus! While speed, nutrients and ease are the most important functions of your trusty juicer, two things that you may not have considered when deciding on your juicer are: Is the cord long enough, making it easier for me to place wherever I need it? And, is it compact enough to fit into my cupboards? The variety of shapes and sizes offered will ensure you have enough space for it in your cabinets and will make it more comfortable to operate. Making your juicing easy breezy! Omega: In 2009, Omega was acquired by the Legacy Companies. The Legacy Companies was founded in 1998 in Ft. Lauderdale, Florida and currently owns such world famous foodservice brands as General Slicing, Maxximum, and Zeroll. Breville: Starting as small importer of basic homewares items and juicers in 1957, Breville grew substantially and acquired the US based Metro Marketing in 1997, before being listed on the Australian stock exchange in 1999. Super Angels: Super Angel's technology and quality control through the constant and exhaustive innovation over the past 30 years places the Super Angel Juicer as one of the top in the industry. Hamilton: As one of the country's leading distributors of small kitchen appliances and juicers, Hamilton Beach Brands, Inc. sells over 35 million appliances every year.